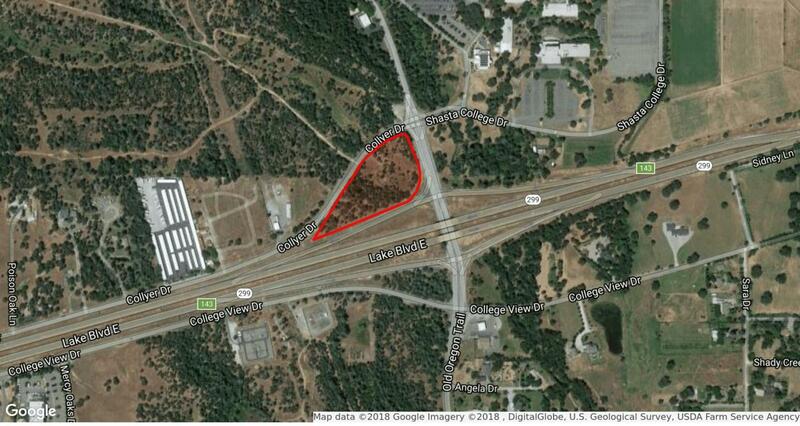 Three parcels comprising the North West corner of Hwy 299 and Old Oregon Trail in between the Hwy 299 On Ramp and Collyer Drive near Shasta College, Simpson University and the proposed Bethel Campus. High traffic counts and excellent exposure. Property is in Shasta County.The larger parcel (within City of Redding) is zoned appropriately for Cannabis manufacturing and cultivation according to the most recent City of Redding Ordinance and maps " to be verified by buyer " the Shasta County parcel (smaller) is not.